Midfielder with great size, a powerful shot and with scoring prowess. Kheira Hamraoui was born in Croix, France on January 13, 1990. 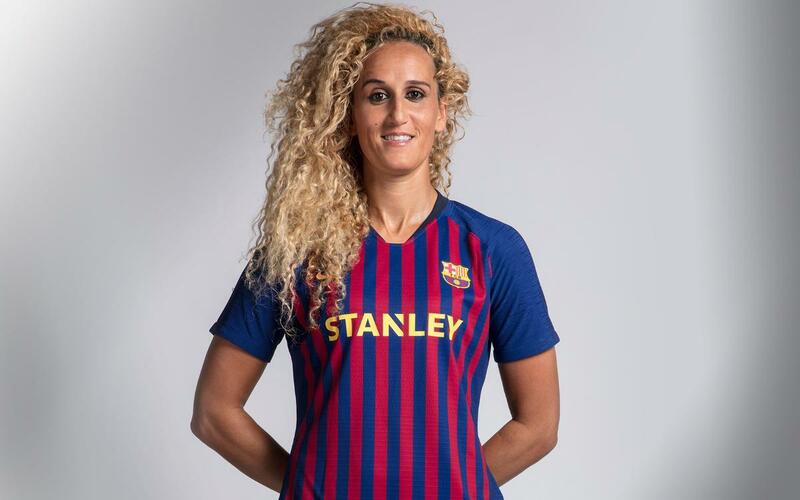 She started playing football at the Clairefontaine Academy, a training school where players such as Thierry Henry, Laurent Blanc and Zinedine Zidane spent time. After a year, she signed for FCF Hénin-Beaumont, where she played for a season. In 2008 she jumped up to the French First Division and joined Saint-Étienne, where she scored 34 goals in the four seasons that she was part of the team. She then signed for Paris Saint-Germain, where she played a leading role in her four years in Paris. The last two seasons she played at Olympique Lyonnais. In her last season there she scored 14 goals in 28 games, which helped the lions win the Champions League and League double. In addition, the midfielder has made several appearances with the French national team. Hamraoui joined Barça in the summer of 2018 with a two-year contract. She is a tall midfielder (1.78m), with a very powerful shot, a great aerial game, and the ability to bring the ball up the field.